With the #6 pick for the top 20 MC's ever list is...King Asiatic Big Daddy Kane. I truly can't remeber the first time I heard Kane. I don't know if it was "Just Rhyming with Biz" or "Raw." It really doesn't matter cause whatever it was I knew from the door that dude was nasty. I do remember copping the 12" for "Raw" from the record store up Broad & Olney and going home and just listening to it over, and over and over and over again. And when I heard "Set it Off?" Maaaaaan....ALL bets were off! This dude was beyond just being a problem this dude was the TRUTH! At that time, in my mind, Kane could do no wrong. His debut "Long Live the Kane" is a certified hip hop classic and even after that album dropped he still went on to bless us with "The Wrath of Kane" (the bside on the "Take You There" 12") and "Lean On Me" (off the "Lean On Me" soundtrack) to hold us down until he came back with his sophomore banger "It's A Big Daddy Thing." This album was literally the soundtrack to my freshmen year of high school. This album reminds me of riding around Philly in my dude Scoob's Hyundai banging EVERY song (even "I Get the Job Done") the ENTIRE school year! I remeber kicking it with my crew and always going back and forth about who was better Kane or Rakim. It was like when we me and my crew would sit around pollying about who would win, Hulk Hogan or Ric Flair. And it's bugged to find out years later that these two was one phone call away of going at each other's neck. After "It's A Big Daddy Thing" Kane just went down hill. 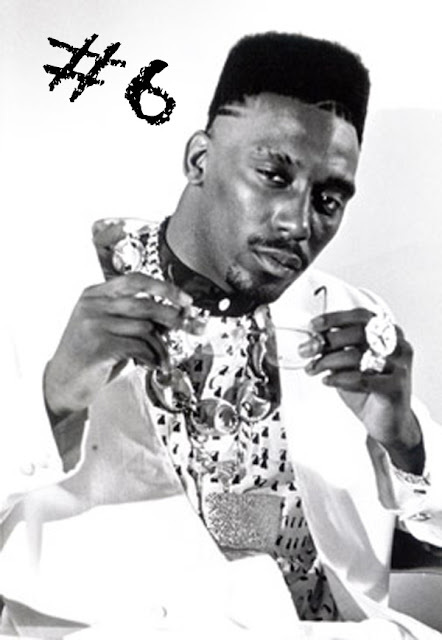 Yeah, we got a dope jawn every now and then (peep "Nuff Respect" off the Juice Soundtrack) but come on...this is Big Daddy Kane we're talking about! I don't want a dope song every now and then, I want more CLASSICS! And to be honest, I always felt like Kane was ahead of his time. He tried to bring the grown man swag to hip hop but we just weren't ready for it. I remember seeing Heavy D's "Don't Curse" video and looking at Kane like "what the hell!?!?!?!" This dude had on a purple silk shirt with a bottle of champagne while Puba was rocking his "girbauds hanging baggy, Hillfiger on the top." But then you fast forward 6 years and I swear Jay Z is in videos with silk shirts on and poppin champagne! Like I said, Kane was ahead of his time...we just weren't ready for it. But even with only two classics outta the 7 albums he dropped (and the other 5 being subpar, wack and even wacker) can't hurt Kane's legacy and what he's meant to the game. Salute. The teacher is teachin', so just shut up."